Listed below are links to our newsletters and other published press articles which may prove useful. If you would like to discuss any of the issues covered by the following articles, then please don’t hesitate to contact the relevant author. If you would like to be included on the circulation list of our quarterly newsletter please just contact us. Back in November, I wrote an article on how 'damages based agreements' might impact client engagements post 1 April 2013. The Jackson Reforms also included guidance on managing and monitoring experts’ costs – an issue dear to my heart. I summarise some of the key issues later in this newsletter. Also featured is an article on the importance of cash and liquidity, and how that might impact both the value of a business and the capacity to extract funds from that business; this is often a critical factor in matrimonial disputes. Additionally, we take a look at the concept of 'hidden assets' in confiscation cases, and how that can be used to justify a disproportionately high benefit figure. In our 'Numbers in the News' section we reflect on Starbucks’ tax exposure in the UK. Our 'numbers in the news' feature looks at mis-selling of interest rate swap deals. But first, we set out some quick thoughts on banker’s bonuses – a topic that has hit the headlines this week. We round up the results from our Fantasy World Cup competition. Carbon credits – the new focus for fraudsters? We consider the impending increase in CFAs in commercial disputes, and the scope for accountancy input in this regard. A look at directors’ fiduciary duties and particularly those of finance directors; a common theme in both fraud and negligence cases we are currently dealing with. It appears that the Crown is consistently defying logic and common sense and applying an approach that serves to duplicate assessed benefits. Our thoughts on the impact of the current economic woes on business valuations, and in particular what that means from a litigant’s perspective. A critical assessment of the role played by fair value accounting in the current credit crisis. An article explaining the accounting requirements for disclosure of litigation liabilities in a company’s year end accounts. The implications of the Lonsdale ruling on the compensation payable following the termination of a commercial agency contract. In our final article in the series on pension losses we consider defined benefit schemes. Our thoughts on accounting involvement in matrimonial disputes following the Mills and McCartney ruling, in particular regarding the issue of assessing financial need in divorce cases. An article exploring the scope for opportunities following the credit crunch and predicted economic slowdown. A summary of how forensic accountants can add value in reviewing SPA agreements before the deal is done. An explanation of how to calculate losses for defined contribution pension schemes. A checklist of practical steps that a business should take following an interrupting event. In the first of a three part series we take a look at various pension schemes, and how loss claims will differ depending on which scheme you are considering. A forensic accountant’s perspective on the true cost to both clubs! The implications for both parties when settling disputes where there are allegations of fraud. Simon Paley considers some of the consequences of the Lord Chancellor’s recent change in the discount rate on personal injury and clinical negligence claims. Greg Lacey takes a look at some of the specific conventions and metrics used to value businesses operating in certain industries. Phil Southall reflects on movements in the Sterling exchange rate over the past year and its impact on claims involving international businesses. The following article takes a look at how the Sharland ruling could have a wider impact. This article takes a look at a complex assessment of a borrower's covenant in relation to a mortgage default. We are often asked to analyse directors’ loan accounts (DLAs) in the context of a variety of different circumstances. This article explains the role of DLAs and some of the misunderstandings surrounding them. Following a disruption to normal trading, the accounting records may be the last thing on management’s mind. However, it is often efficient to collate evidence from the start, and this article details the key accounting information ordinarily required to justify a claim for business losses. Any business valuation will be dictated by the quality and integrity of the information that underpins it. We summarise below the key information that is needed for a reliable valuation. Our earlier articles in the series on valuation issues all refer to the value of a company as a whole. These assess the worth of a company to a purchaser acquiring the business in its entirety. 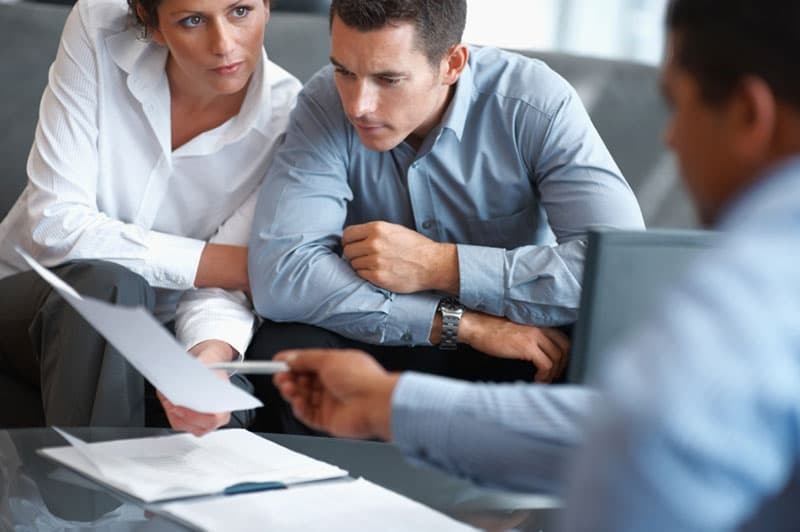 However, we are often asked to provide a valuation of small tranches of shares; for example, in shareholder disputes, or for the purpose of determining net worth in the case of divorce. The three basic factors which generally affect the value of a company’s shares are its earnings, its dividends, and the value of its assets. The final value may be a combination of these factors. Their relative importance will depend on the objectives of the purchaser, and the size of the shareholding being acquired. In our previous article we described how there are broadly two distinct categories of share valuation and explained the market based methodologies. So long as a business is profitable, a valuation of that business will derive from the earnings it generates. After all, the motivation for most buyers is to create a return on their investment. Consequently, earnings-based approaches (such as capitalised earnings or discounted cash flow techniques) are commonly applied when assessing the worth of a business, whatever its size. Despite many requests, this is not an article containing photographs of the FAR Consulting Christmas party, but Phil Southall sharing his recent experience of “hot-tubbing” in the professional context. Whilst attracting some publicity, the mis-selling of IRHP by banks in the UK has not attracted the headlines in the general media and press that the mis-selling of PPI protection cover has received. This possibly has something to do with the complexity of the mis-selling issue itself. After all, you have to be a sophisticated investor to understand any of this, so presumably the story would only play to a sophisticated audience. An article discussing withheld VAT repayments and how mobile phone traders might fight back. (Published in Mobile News, October 2006).